As was the case for his lamps with arms, Jean-Louis Domecq (J.L.D.) 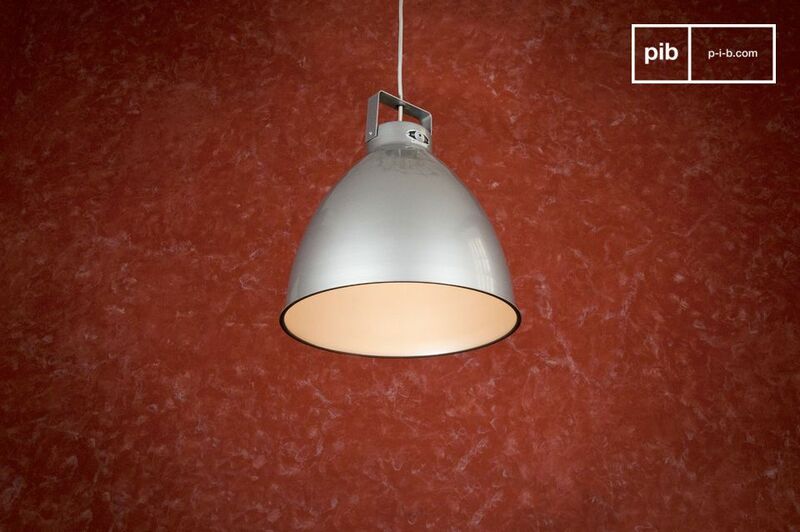 designed the Augustin pendant light to meet his own needs, i.e., to light his workshop. The 24cm-diameter model presented here will light up your interior with its very discreet silhouette. 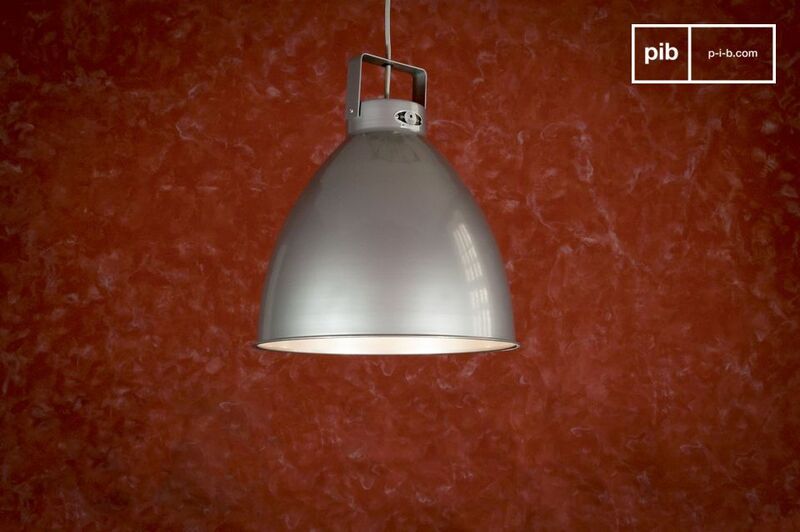 Made entirely of aluminium, this lamp is coated with paint with metal content to create this white iron colour, for the inside and outside of the reflective surface. 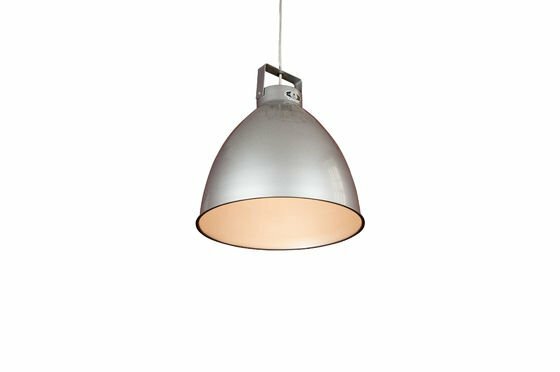 This fully-industrial piece is entirely built out of metal, from the fixation system and the shade, right down to the braid for the electrical cord. 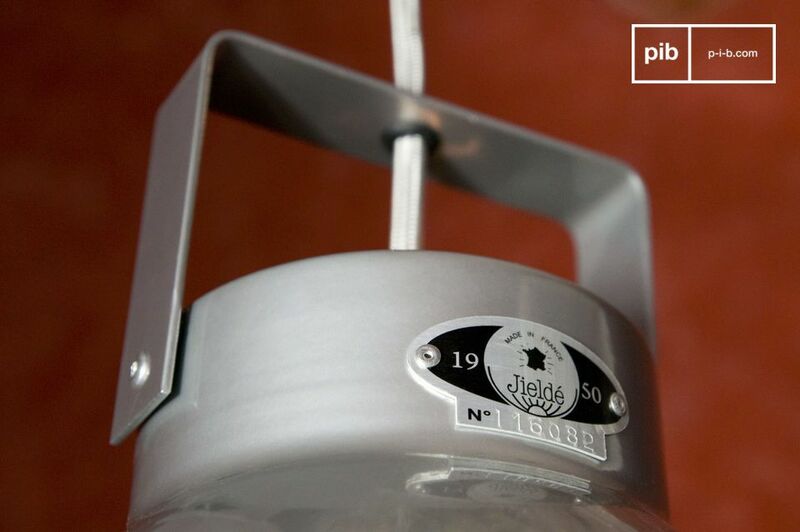 Like all Jieldé lamps, the Augustin is numbered with a riveted firm plate. Porcelain socket for a standard large screw light bulb (E27), maximum power: 150 Watts. 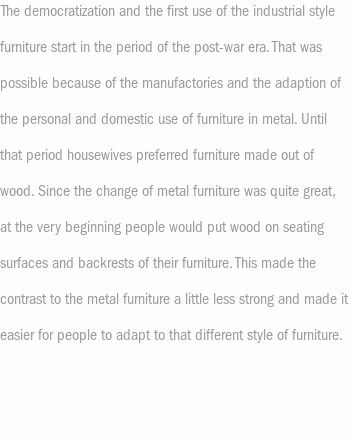 Electrical cord length: approx. 150cm. Metal cap to hide the fixing hook and domino power connector. 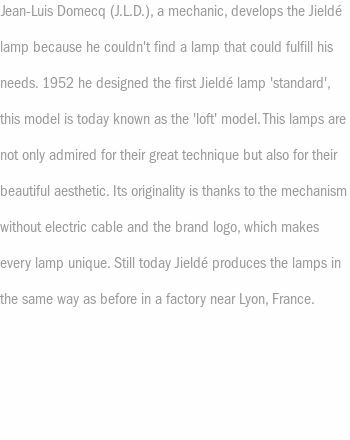 For more information about the make and its history, consult our Jieldé lamps page.